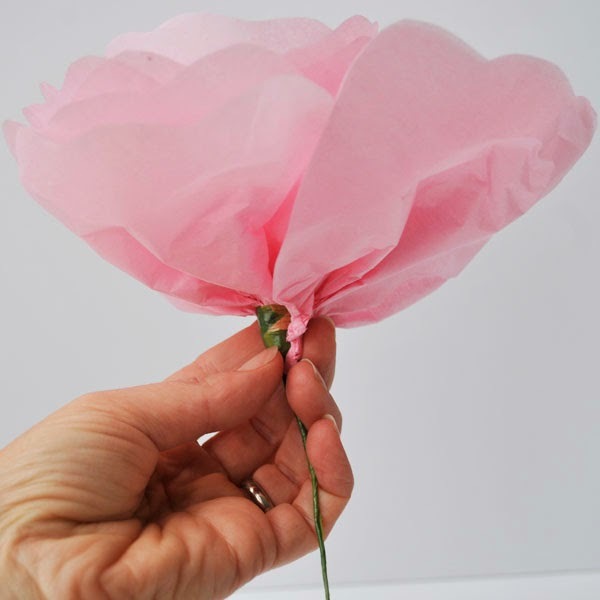 These blossoms are made from tissue paper and a few other materials as seen below, it's amazing how a few modest items can be transformed into a lovely flower! 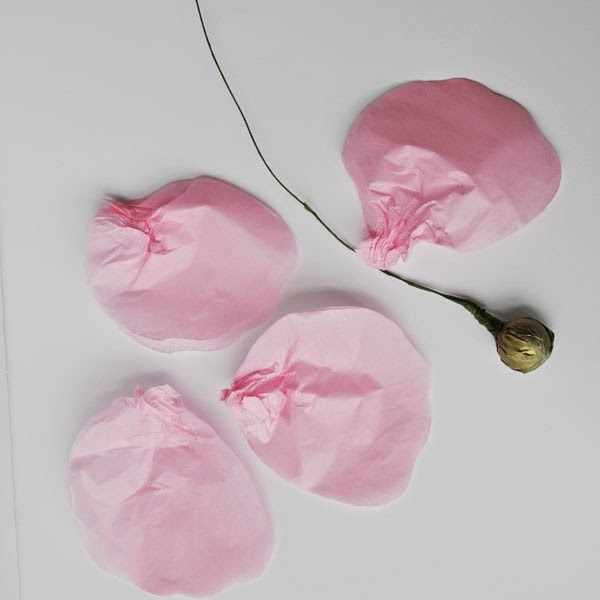 First step - cut your tissue paper up into petals. 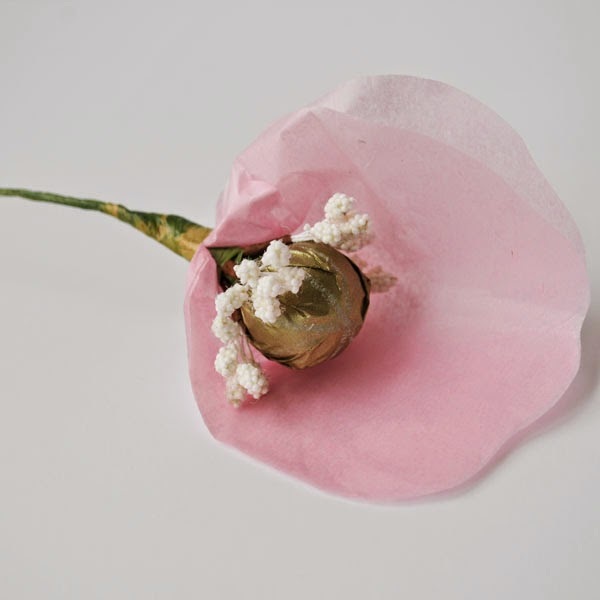 I did cut the petals as I went graduating to larger petals for the outside of the flower. Some I doubled thickness, some tripled, depends how fluffy you want that layer around your center. 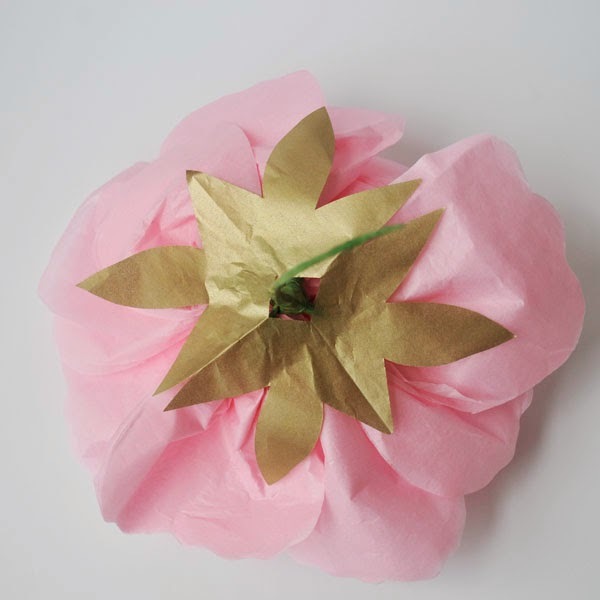 Speaking of center's I drew some lines on my gold tissue paper in white crayon and then wrapped it around the polystyrene ball, twisting slightly at the base - it is an old technique used in millinery flowers actually - using fabric of course and sometimes just cotton wool. 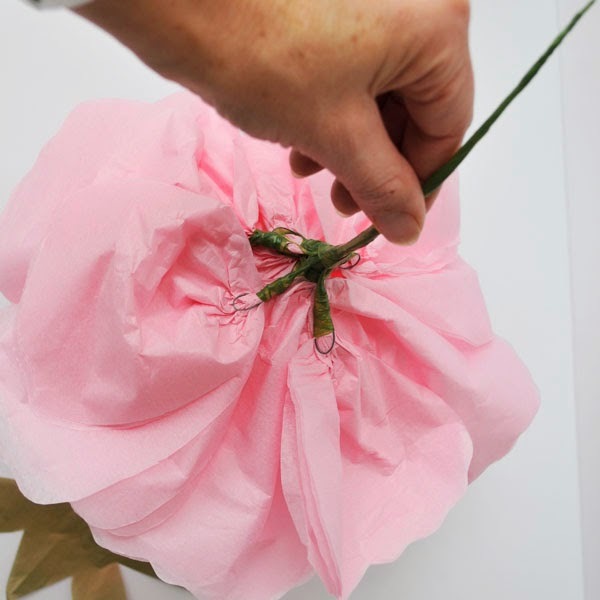 Add the stamens then wrap with floristry tape. 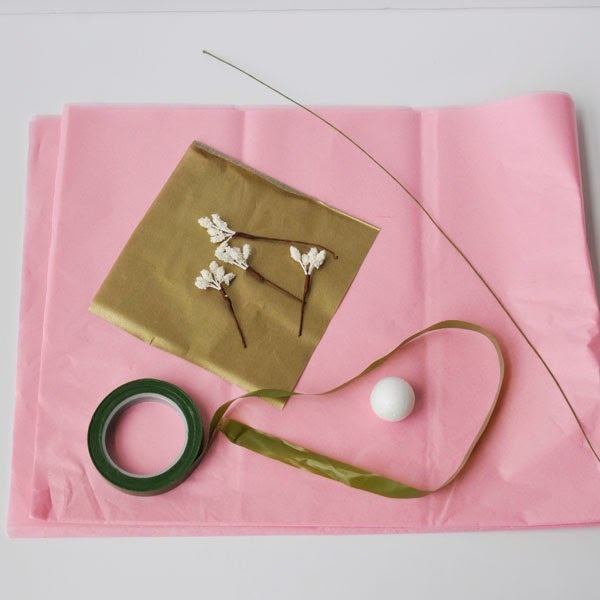 I also poked a wire into the middle of the ball as you can see below, so I had some length to tape the stamens to. 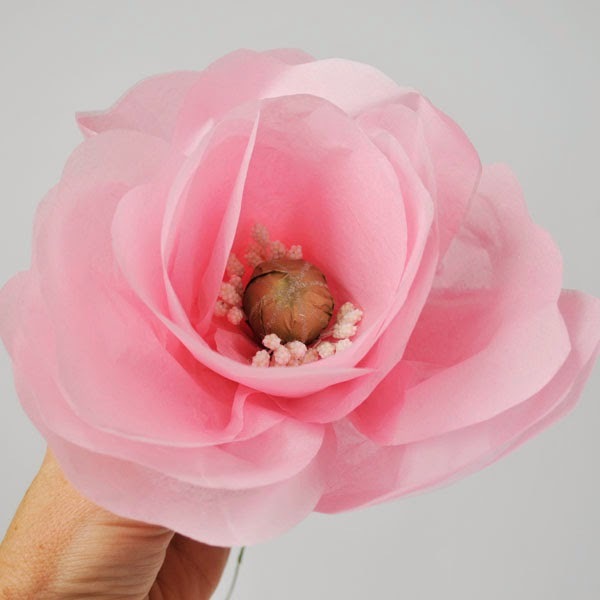 Once the petals were cut I pinched them all in at the bottom ready to tape and start the construction of the flower. 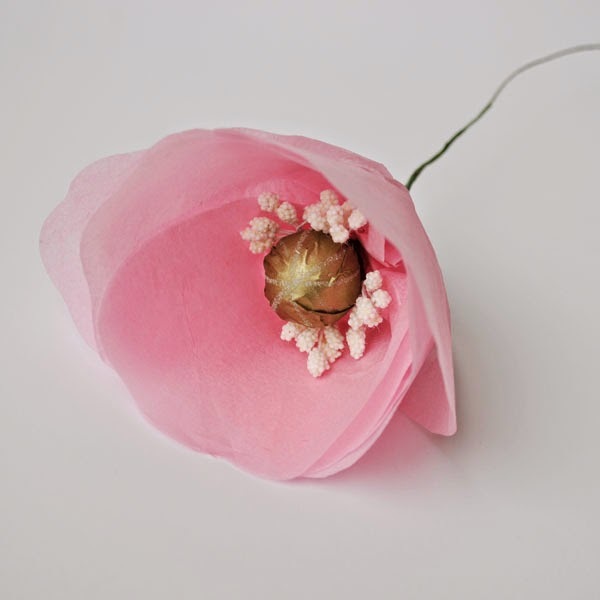 Work your way around the center, layering the petals alternatively, odd numbers work best. 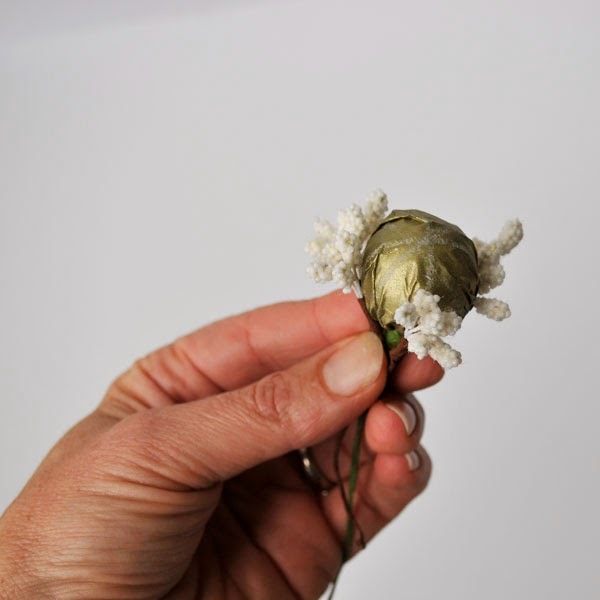 I just kept adding layers until the petals got too heavy to add without wiring first - use this wiring technique. 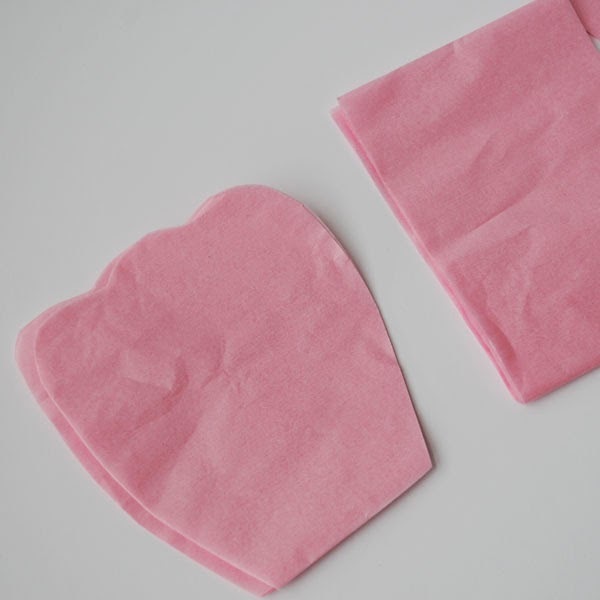 When you are happy with the shape and fullness, cut a calyx out of tissue and glue carefully to the back - a great way to hide your mechanics. 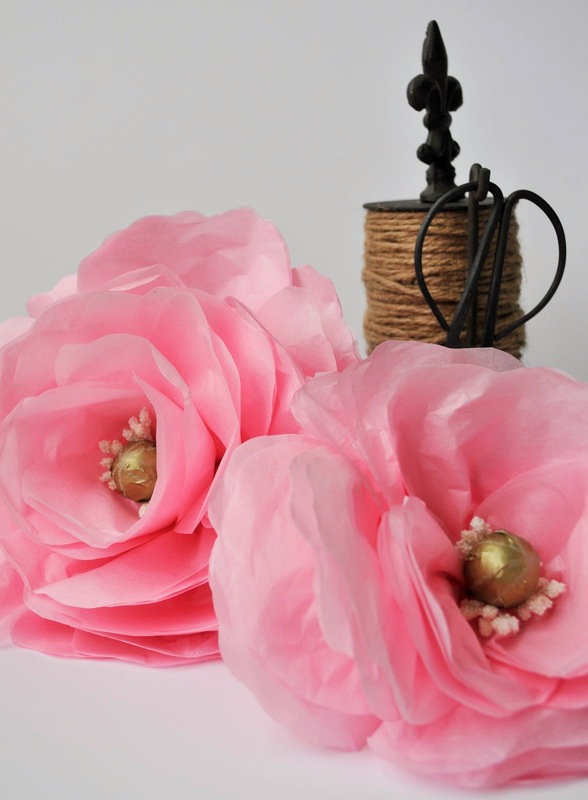 I made these for the opening of the Makers Hub with a few other smaller flowers I'll post about another time. 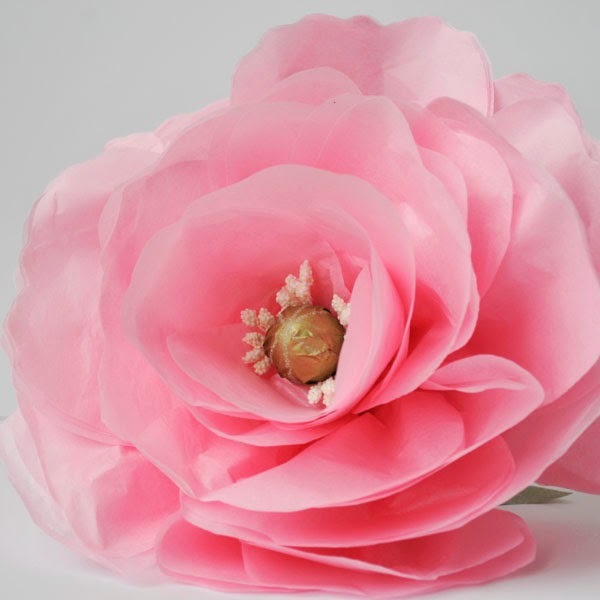 Leave a link in my comment section if you make some of these flowers following my tutorial! Enjoy.